Entrepreneur focused on ecommerce and retail, differentiated by design. Prof. M.P. Ranjan passes away. 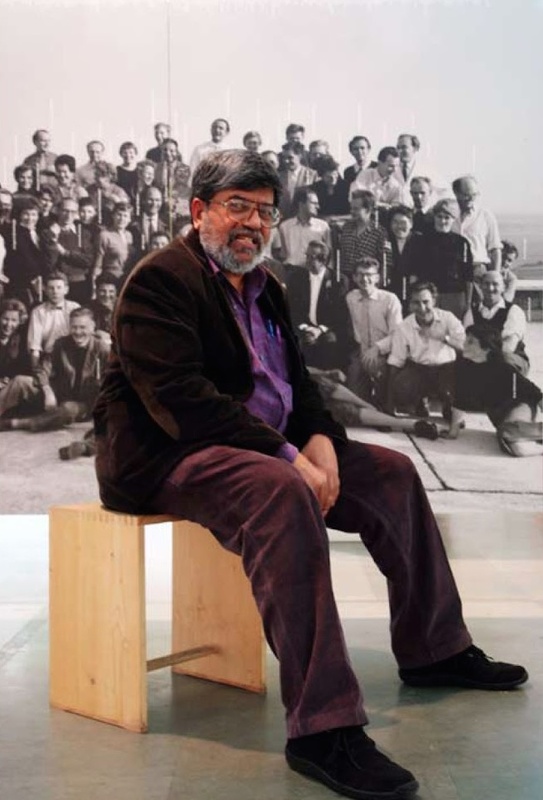 Prof. M. P. Ranjan, a senior faculty member of National Institute of Design (NID), Ahmedabad, and a highly respected design thinker, passed away on the 9th of August, 2015. His passing away is a huge loss for the design community, including students. As a member of the faculty since 1976 he has been responsible for the creation and conduct of numerous courses dealing with Design Theory and Methodology, Product and Furniture Design and numerous domains of Digital Design. He has conducted research in many areas of Design Pedagogy, Industrial and Craft Design and on the role of design policy in various sectors of the Indian economy. He has held many administrative positions at NID and is currently Head, NID Centre for Bamboo Initiatives at NID. Besides publishing several papers on design and craft he has edited numerous volumes of NID publications including the “Young Designers” series and is author of a major book titled “Bamboo and Cane Crafts of Northeast India” (1986) and two CD-ROMs titled “Bamboo Boards and Beyond” (2001) and “Beyond Grassroots” (2003) which contain all his papers and reports on bamboo and on design. He helped build the Indian Institute of Crafts and Design at Jaipur and the Bamboo & Cane Development Institute, Agartala. He is co-editor of a major publication “Handmade in India” (2008) which documents the crafts of India and is produced by the Development Commissioner of Handicrafts, Government of India. As a professional designer he has handled many design projects for industry, government and international agencies in areas of product design, interior design, exhibition design, craft design and design policy. As Chairman of NID’s consulting Design Office from 1981 to 1991 he was responsible for managing over four hundred professional design projects handled by the Institute in that period. He has headed the NID’s Publications and Resource Centre as well as the Information Technology initiatives as Chairman Computer Centre and Head Apple Academy at NID. He completed several major projects for the UNDP and Government agencies to demonstrate the role of bamboo as a sustainable craft and industrial material of the future. These innovations contributed to the creation of new strategies for the use of bamboo in India. M P Ranjan was born in Madras in 1950 and after his schooling and junior college there he joined NID as a design student in 1969 in the PG programme in Furniture Design. He joined the Faculty at NID in 1972 and for a short while, between 1974 and 1976, worked as a professional designer in Madras before returning to NID as a full time faculty member in 1976. He now teaches full time at the National Institute of Design, Ahmedabad. He is on the Governing Council of the IICD, Jaipur and is the Chairman, Geovisualisation Task Group set up by the Department of Science and Technology, Government of India. His website set up in late 2004 is a growing resource of writings and visual presentations on his numerous areas of interest, projects and teaching programmes. 9th August! Not September. could you please change it. The date wrongly mentioned as 9th September has been duly corrected. Sorry and Thanks.